Parker is an industry leader in hydraulic parts manufacturing and design, and using their parts can often improve the performance of your equipment dramatically. You can rely on Parker parts to deliver superior performance, because they are backed by expert engineering, meticulous construction, and rigorous quality control testing. 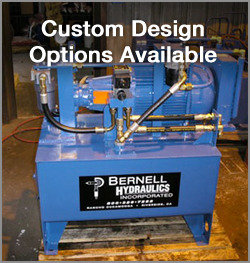 Parker hydraulics Indio CA wear well and are designed to be compatible with parts from many other manufacturers, making it easy for you to upgrade a few parts at a time to Parker parts. Parker is always dreaming up new hydraulic product designs that will help improve the performance of your equipment, like highly efficient, self-wear compensating hydraulic pumps and heavy duty hydraulic hoses with abrasion resistance over 400 times greater than the competitor. Because we know that your hydraulic equipment is your livelihood, we try to make sure you get the Parker hydraulics Indio CA that you need when you need them. You can choose the pickup or delivery method that is best for you, whether that is in-store pickup at one of our three locations, onsite delivery and installation, or international shipping. If we don’t have the part you need in stock, we will order it direct from Parker for you.